In what may be a first, California is increasing solar incentives for new homes built with west-facing solar panels, through the New Solar Homes Partnership. Conventional wisdom for orienting solar panels in North America is to face them to the south, but as we’ve pointed out before, that may not always be the best direction for solar arrays. 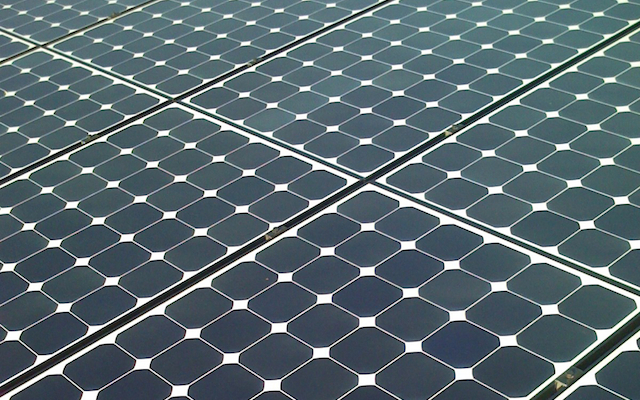 West-facing solar panels, which can take advantage of sunshine later in the day, when the demand for electricity is highest, can offer some advantages over their more traditionally oriented south-facing arrays, especially when it comes to matching demand times with generation times. Although solar panels facing west produce about 20% less energy over the course of a year, they actually produce more energy (50% or more) during peak demand hours of 2 pm and 8 pm. Because of this, an additional 15% incentive (up to $500) will apply to new homes built with west-facing solar arrays. By producing more electricity during the times of day that conventional power plants have to produce the most energy (which is accompanied by increased air pollution) for the air conditioning, appliances, and other devices most in use in the afternoon and evening, west-facing solar panels could help lower air pollution while increasing the percentage of clean power used by the residents. According to recent research, south-facing solar arrays send about 42% of their electricity back to the grid, but west-facing solar arrays send only 25%, using the majority of it (75%) on the site itself. More information is available through the New Solar Home Partnership page.